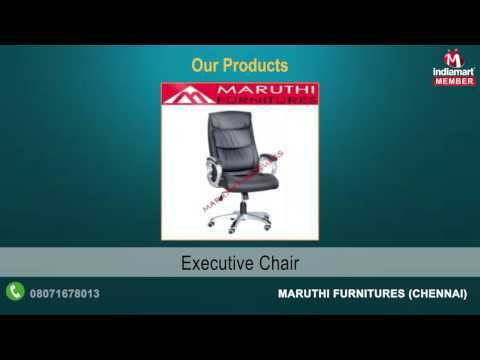 Established in the year of 2010, we "Maruthi Furnitures", are a leading manufacturer, supplier, wholesaler and retailer of a highly demanded assortment of Furniture Products. Under this commendable range of products we are offering President Chair, Executive Chair and Office Chair for our valuable customers. To suit the varied needs of our clients, we are offering these products in various specifications. All our offered products are manufactured at our highly advanced production unit by taking optimum quality basic material bought from the trusted and reliable suppliers of the relevant industries.